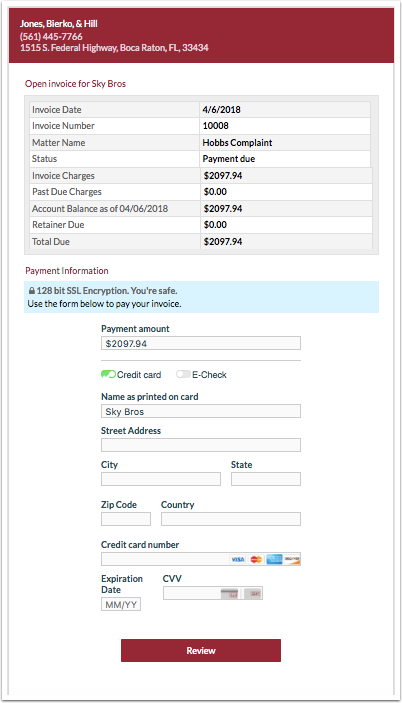 Rocket Matter Knowledge Base LexCharge Integration - Credit/Debit Card ProcessingWhat does my client see when making a payment using the LexCharge integration? Be sure that you have the LexCharge integration approved and that your keys have been inserted in your Rocket Matter account. Be sure that you've enabled invoice sharing with your client and the correct email is selected. Be sure that you've customized the payment email template in your 'Settings'. Need assistance modifying this email, check out this FAQ. 1. 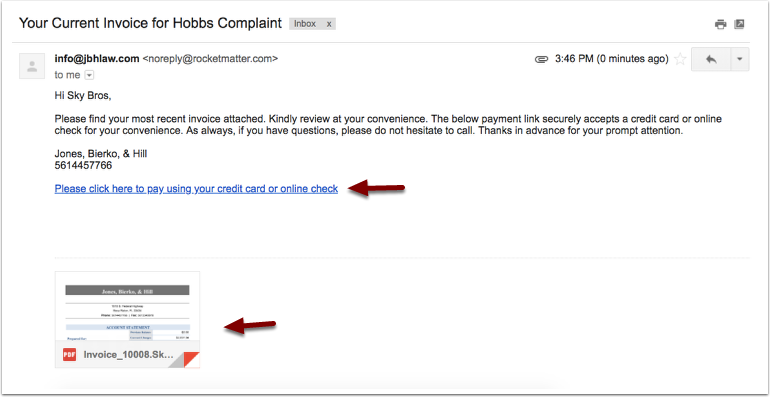 Once you run a batch or single invoice, your client will receive an email with the attached invoice and a payment link . 3. Your client will see a successful payment status once they've entered their payment information. If your firm would like to receive a copy of this receipt, you can BCC a firm email in the 'Edit a payment receipt email'. Need assistance modifying this email, check out this FAQ. 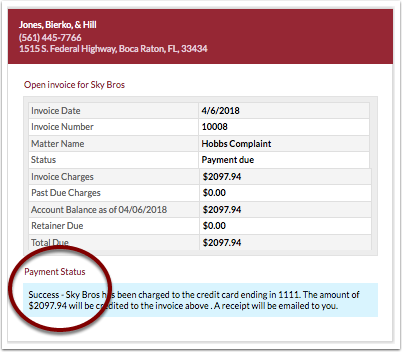 Prev: How to see a report of all my payments, retainers and their statuses.